Brent Farrington, a representative for the CFS national office, said that it may seem like the Day of Action happens every year because CFS-Manitoba has organized one for the past few years: 2007, 2008 and 2009. However, it’s not supposed to be an annual event. 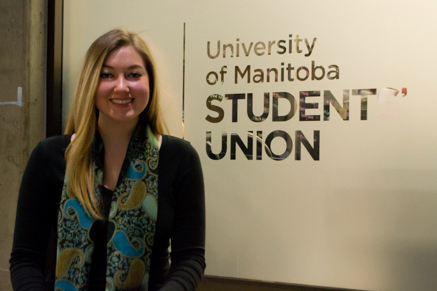 CFS-Manitoba chair Alanna Makinson said even with the October 2011 provincial election fast approaching — which could result in changes to the tuition fee policy in effect — there’s no rally currently being planned. Instead of big events, “there were other tools that were used,” Makinson said, including collecting petitions and declarations and recording students’ stories about how tuition rates and debt affect their lives. They’ve been working on campaigns like international student health coverage, Bottled Water Free Day, the Residential Tenancies Act, and a U-Pass in addition to the Education is a Right campaign, she noted. The province’s last day of action, in 2009, focused on a campaign called “Target Poverty” that went beyond tuition fees, she said. “Access to affordable housing, access to public transportation, affordable child care: those are all issues that affect a person’s access to post-secondary education, and we were looking to draw attention to all those needs of students, as well as the broader community,” Makinson said. Makinson noted that if students want a Day of Action — or something zanier, like a flash mob — they should get in touch with CFS Manitoba. Farrington said that some CFS members are talking about holding a national Day of Action in fall 2011 based around the Education Is A Right campaign, which “calls for the government to take true responsibility for post-secondary education,” he said, including a federal post-secondary education act that guarantees certain levels of funding.